Last year, IMAX delivered some cool posters for Star Trek Into Darkness, Pacific Rim and Riddick as part of their new Fanfix program for certain big releases on the giant screen. 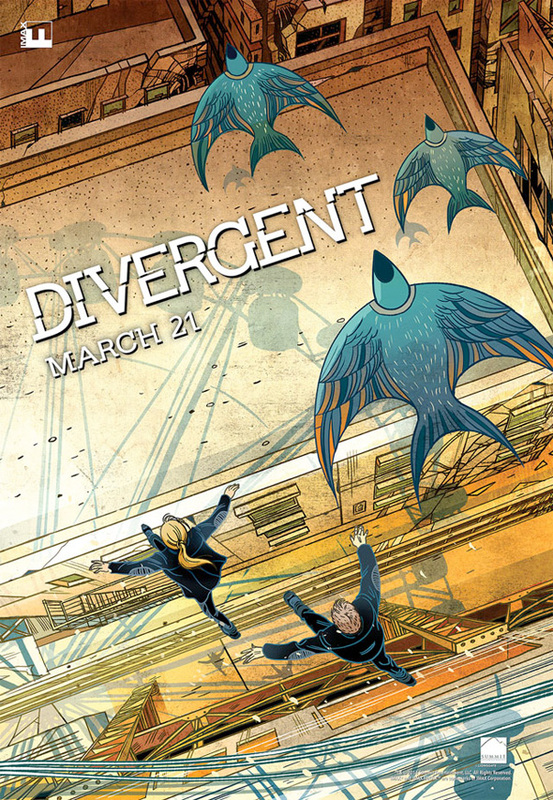 Now we have our first Fanfix poster of the year for the impending release of the young adult sci-fi adaptation of Divergent. This time the poster takes a comic book style approach to the train-jumping scene that we've seen in the trailers, complete with an illustrated Shailene Woodley. It's not the coolest poster, but we're sure those flying birds have some sort of significance for fans. Get this poster at the first IMAX screenings of the film on March 20th.